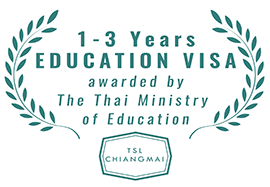 The so-called TM030 form is currently (Oct 2016) the talk-of-the-town as Immigration just changed some practicalities that will affect nearly all foreigners staying in Thailand. Download the TM.30 form from here. The TM030 and its underlying laws are about the obligation of a landlord (or house master, possessor, manager) to report the stay of a foreigner (non-Thai national) in his/her property. All foreigners staying in Thailand and their hosts should be very well aware of this. The laws with regard to the TM030 and the obligation to report a foreigner's stay have been in place for some time, but the government has started to enforce it more strictly lately, and changed some of the procedures with regards to your 90-days reporting and extension of visa. Basically, with the TM030 form, the government aims to know exactly where each foreigner is staying all the time. Every host, no matter Thai or foreigner, has the obligation to report the stay of a foreigner within 24 hours. This may seem a scary idea to those appreciating their privacy, cumbersome to those providing accomodation, and perhaps even crazy in the eyes of frequent travellers, but we've got to live with it because the law is in place and Immigration is enforcing it more and more. The TM30 measures are one of many of the current government that are all aimed at better monitoring and controlling what happens in this country. The government wants to make it difficult for foreigners to stay under the radar especially who Immigration sees as ‘bad guys’, foreigners who overstay and terrorists. The Thai authorities did not advertise the new regulations very well so many foreigners and Thai property owners have been surprised by the sudden strict enforcement of the TM30 regulations. Moreover, even Immigration officers are sometimes not sure about how to implement the law and Thailand wouldn't be Thailand if you can different and sometimes conflicting answers from different Immigration officers about how to report. To make things worse, the stay of a foreigner has to be reported within 24 hours and Immigration is all too eager to fine the landlord THB 1,600 per person if just one day late or when some documents are not complete. Officially and practically, the responsibility to report the stay of a foreigner rests with the host: the landlord of a property, the hotel or the service apartment. Untimely reporting of a foreigner can be penalized with THB 1,600 per person (normally the penalty does not exceed that amount , even if your landlord reports months too late). However, if you are the guest or tenant, you can’t ignore TM30 either: many foreigners report that they need it when going to the Immigration office for a service, such as the 90-day reporting and sometimes even for visa extentions. It still depends on the officer in charge that you're facing, but at such moment that you may find out that your landlord did not report your stay and you will have to explain where you stayed all that time. There is also a risk that you as a tenant (or guest) may be fined instead of the landlord. In some cases, Immigration enforces strictly and demands the return slip of the TM.30 form, in other cases they allow foreigners just to tell them their address and when it's in the system it's okay. Some foreigners reported having problems at the hospital after treatment when they didn't have a TM.30 form, apparently it's needed for the insurance company, so even for this, it's better to get it done. In case the landlord has outsources this matter to a property manager, a letter is needed giving authority to this property manager to report TM30 on behalf of landlord with stamps from the tax office on this letter. 1. Most common and most official is to go to the Immigration Office at Promenada, 2/F (the department in charged just moved in Dec 2016) and fill out the TM030 form there. 2. If the landlord is renting out a unit in a condominium building, often the building collects the information (copies passport and departure card number) and hands it to Immigration about 1-3 times per week. In some condominium buildings, the deal between the building management and Immigration is that the papers can be collected within 7 days (instead of 24 hours), that gives you an enormous leeway. Some condominium buildings, however, don't cooperate with Immigration and leave it entirely up to the owners. 3. 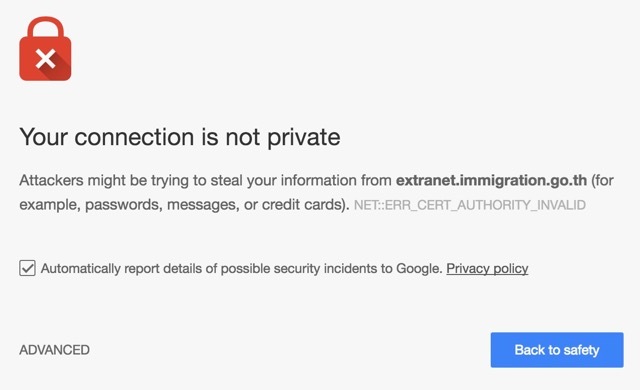 In theory, the landlord can also register online on https://extranet.immigration.go.th/, but this online system is often not accessible (nor are safety standards of the site 100% update). Recently, Immigration closed this possibility to report, because people did not include the right attachments. 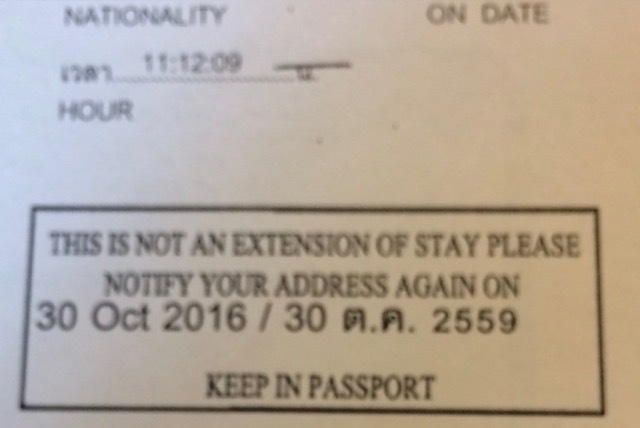 After registration, the landlord will get a stamped return slip that the tenant (guest) should use when going to Immigration for a service. Surely, every time you leave Thailand and return with a new (arrival and) departure card in your passport, you have to be reported again, because your departure card number has changed. However, in practice many Immigration officials say that's not necessary and you can just stick to the first report. In principle, the prime responsibility of reporting a foreigner rests with the property owner, not with the tenant or traveller or with the agent or property manager, but all could experience trouble when the papers are not in good order. Reportedly, there have been cases that travellers were fined instead of the landlord, when they reported at Immigration for 90-days or to get a visa extension. In principle, each individual foreigner needs to be reported, not just the head of a family or one person in a group of travellers, however in practice sometimes the authorities accept reporting of just one person per room or per house. Well, it's unlikely that you will have trouble when a landlord or a guesthouse or service apartment has not reported your stay. Unlikely too that there will be any issues when you stay in Thailand for a short time and leave without having any contact with Immigration. But the moment you show up at Immigration to deal with some paperwork, you may have to show where you stayed and then it's too late. Once again, it depends on which officer you're facing and what's the mood of the day, after all this is Thailand. And even Immigration officers have taken a practical stance at how to deal with the new regulations, that are not always easy to enforce as usually it's the guest who experiences trouble when he/she is not reported while landlords aren't really forced to report. For this reason, Immigration is all too eager to charge either the landlord coming to the office later than 24 hours or the guest coming without the proper TM.30 slip the penalty of THB 1,600. There are about six officers in this so-called Investigation Department who are bringing in a lot of penalty money. Officially, you need to be reported for where you stay. But even the Immigration officers take a practical stance at the new rules. So, a PRACTICAL APPROACH you could take as a foreigner (at your own risk) is to not bother about it too much if you know you don't have to go to Immigration during your stay in Thailand, and to only get more serious if you know you do. If you already know you have to go to Immigration at some point, for example for your 90-day reporting, and you haven't been reported within 24 hours from the moment that you checked in at your accomodation address, then some foreigner just report from that moment stating that they stayed in hotels before which didn't report them. This has worked for some foreigners, because Immigration won't bother to call those hotels to tell them they didn't do their job. Make sure to check with your landlord within the first week of your stay that he/she has reported you. If the landlord doesn’t want to go, you could consider staying at another place, or you could report yourself at Immigration on behalf of the landlord, but then you need to get his/her proxy first (there is a separate form for that). Beste, er is een fout vermeld in mijn commentaar vraag. Het is niet wat ik geschreven heb, "UITGENODIGD " Ik heb geschreven, "AANGEMELD" bij het Immigratie kantoor. Dank U.
Beste, Ik ben aangemeld bij aankomst op het adres van mijn Thaise echtgenote, zij is de eigenaar van de woonst, in Sara Buri. Ik ga regelmatig naar Pattaya, voor een verblijf van 3 of 4 weken. De Condo waar ik dan verblijf is ook eigendom van mijn echtgenote. Moet ik dan opnieuw aangemeld worden in Pattaya met het TM 30 formulier en bij mijn terugkeer, terug aanmelden met TM 30 formulier in Sara Buri.? Met dank bij voorbaat. Winlouis. Our Immigration Office is 80 km away so we were keen to see if the local police would let us report to them. They were delighted as they had never done it before. Having to ask your landlord to go to immigration and file a report every time you stay in a hotel in Thailand for even just 1 night, is utter lunacy. Regarding having to go in on the weekend, if the 24 hours falls on a weekend, they won't mind you coming in on Monday - that's standard. We've come in a few days after and just explained that we had to work, etc., and they were cool about it. We live in a condo in Bangkok on a retirement visa, so we DO need to ensure our docs are in order. So whenever we move into a new place, we simply get the landlord's proxy (power of attorney allowing us to act in their behalf), signed copy of the house registration, signed copy of their Thai ID, and a signed copy of the TM30 report. We then take this along with a copy of the lease agreement and report ourself. We got fined once for it not being done, and there's no way our landlord is going to do this every time we leave a return. Once you've done it once, you only need to take in the bottom-half of the 24-hr report and they'll re-stamp it with a new date if you leave and come back. Is the TM30 a government directive or an immigration directive. can the report be done at the local police station as per stated on the TM30.? the immigration officer says "NO" but it says report within 24hrs.imagration is closed on saturday and sunday.so if you report on monday and you came in on friday you get fine.??? Can anyone provide a web-site/link where one can report presence to Immigration on-line? Was informed at Immigration this is possible, but cannot find it. Recent TM30 experience - visited Patong (Phuket) Immigration. Officer refused to accept paperwork, informing me (despite the website not working) that I should register online. This option, anyway, is apparently available to businesses (e.g. hotels, landlords, etc.). Following day, visited Phuket Immigration (main office) and the paperwork was accepted without question! Attempted today, at Phuket Immigration (Patong office), to lodge a TM30 form and supporting documentation. The Immigration officer declined to accept any of the paperwork, instead informing me (despite my protestations that the website was down and that, anyway, a registration licence was necessary) that I should report online. Needless to say that on trying several times to do the online report, the website would not accept it! @Lars: Your case is exemplary to how Thailand is run. There are rules, but then they are applied differently in different government branches and differently to people. Guidebooks on Thailand always it as the Land of Smiles, but it's rather the Land of Exceptions. I've been living in Thailand for 16 years. I'm living with my spouse and our two kids in our own house. I've been running in and out of Immigration with the 90 Day reporting for 16 years; I, nor my spouse, have ever had the TM 30 filled out and presented to the authorities, and we never had problems due to the missing reporting. Last time I flew out from Suvarnabhumi, I went to the Immigration Information desk, situated after the immigration passport checking counters, and asked if I needed to fill out and submit the TM 30 to the authorities when I returned. The Immigration officer smiled at me and said no need. So now I'm confused about the rules?! I went to registrate myself yesterday at the Immigration office in Phuket Town, discovered that there were a specially assigned room (No 101-ground floor). Had all documents required so the application went quite speedy BUT the officers in charge were making big face, no smile whatsoever...and even when i thank him he looked at me as if i had insulted him !! And oh yes, there were an flat screen TV airing an YouTube Thai cooking program just right there...for people to watch while waiting there numbers to be called. Very weird, so weird...too weird ! Very clear & explicative article, thank you very much ! what if i am staying in my own home but don't have my Tabien Bann ( yellow book ) yet but did put my address on my landing card ? What can I do? The owner of the condo did nothing. He need to do not me. 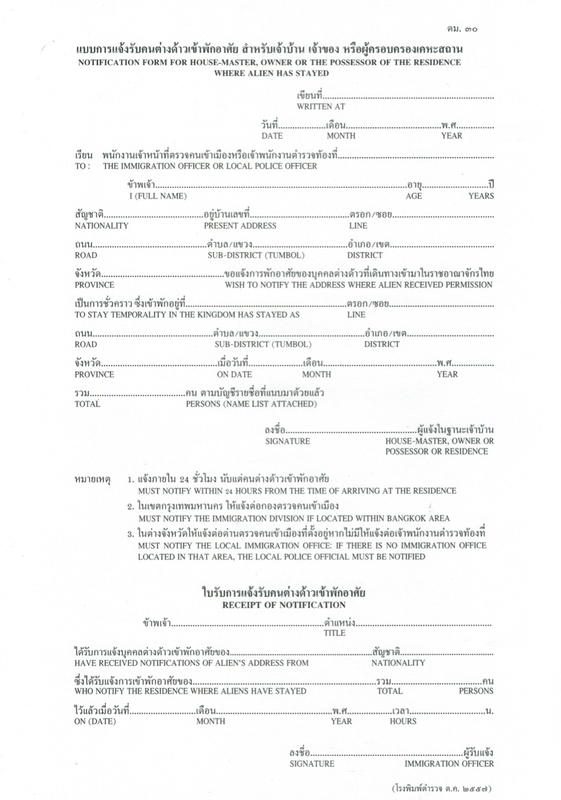 he need to send a list of farang (Tm30) to immigration? I was there with the old TM28 from. they send me away. The real owner is a company ,I see only a lady to collect the rent the first days of the month. On the new TM6 they no ask where you live stay). WHY isn't the TM 6 form Sufficient ? It asks the SAME information and is 1000 times easier to process. IS it ONLY for Immigration to make more $$$ ? I was with my girlfriend - at her place - in February and went to the local police-station to report my stay. The officers in charge didn't understand it at first sight but after a few minutes someone noticed there had been a TM030 in the registers before. So I was the second one to be registered, it lead to a photo with the officers, a big smile and a thumbs up before I left the office. Once I 'reported' within 24 hours of my arrival in Thailand a tenant who arrived few days earlier and got keys from the office of my 2 condos. It took senior immigration official few minutes to explain junior girl at the counter that everything is OK. Lucky me to go straight to immigration on the next morning. Previously reported as soon as practical and never being a problem. No need for a witness to sign the proxy forms. 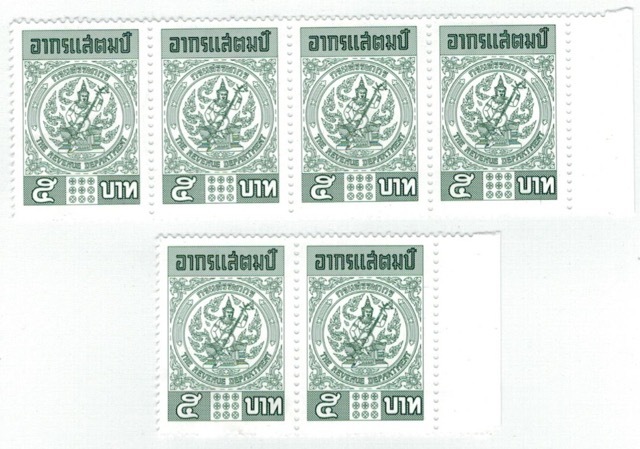 But in some cases, the officer at Immigration requires stamps from the tax authorities. When you use the proxy form for th30 does it have to be witnessed by a legal person or can anyone sign it? 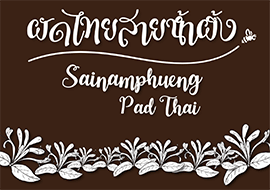 What if you are just visiting a friend who is a Thai local? E.g., you are not a renter, hotel guest, or hostel guest. You are simply visiting a friend who invites you to his home while you're on holiday in the kingdom? Family of five. Landlord lives out of town. Sent the lanlordthe papers and proxy also. Had a Thai national bring the signed forms and copies to immigration. They wanted 8,000. 1600 x 5 but did it for 1,600. Whew. This has nothing to do with 90 day reporting. Must be done every time each person enters the country. Free the first 24 hours. Whether you own a property, a house, a condo, or a business, it is not relevant for the TM.30. You still have to be reported (by yourself or by someone else). Immigration does give conflicting advises regarding to whether you should keep being reported while traveling through Thailand, but the original intent was that this is necessary. My husband and I come to Thailand every year for four months, Nov to Mar.. we are co-owners of resort with Thai partner. 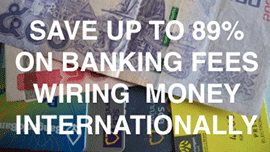 I have tourist visa, my husband Business visa. 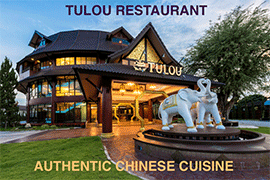 Our Thai manager of the resort has reported both of us with the information required, as owners. Do we still have to register as individuals. You can ask her property manager to sign on behalf of her, often that's accepted by Immigration. Or you can get the Power of Attorney form (proxy) for your landlord, scan it and have her sign it, then report yourself with her proxy. I'm planning to move in April: the owner of the house (landlady) is in Japan and will still be there then. What do I do about the TM30?